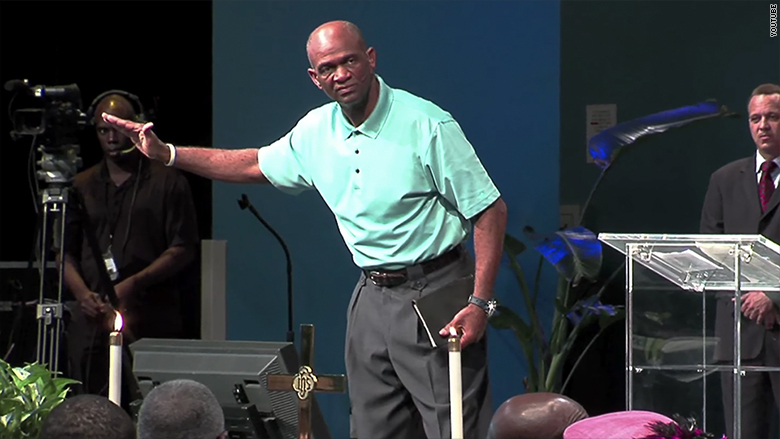 “Federal authorities have charged the pastor of a Texas megachurch and a Louisiana financial planner with defrauding elderly investors out of more than $1 million. Kirbyjon Caldwell of Houston and Gregory Alan Smith of Shreveport were charged Friday with six counts of wire fraud and five counts of money laundering, as well as one count of conspiracy to commit wire fraud and one count of conspiracy to commit money laundering, the Justice Department said. The Securities and Exchange Commission has also filed civil charges against Caldwell and Smith for the alleged fraud, which occurred from 2013 to 2014. Caldwell, 64, is the senior pastor of Windsor Village United Methodist Church in Houston, which is described by the SEC as “one of the largest Protestant churches in the U.S.” Smith, 55, is the manager of Smith Financial Group in Shreveport. The ill-gotten funds were used to pay for personal expenses, including mortgage payments in the case of Caldwell and luxury automobiles in the case of Smith, it added. The DOJ says they allegedly defrauded the investors out of more than $1 million. The SEC places that figure higher, at $3.4 million. Neither the Windsor Village United Methodist Church or the Smith Financial Group responded to messages from CNNMoney. Lawyers could not be located for Caldwell and Smith.